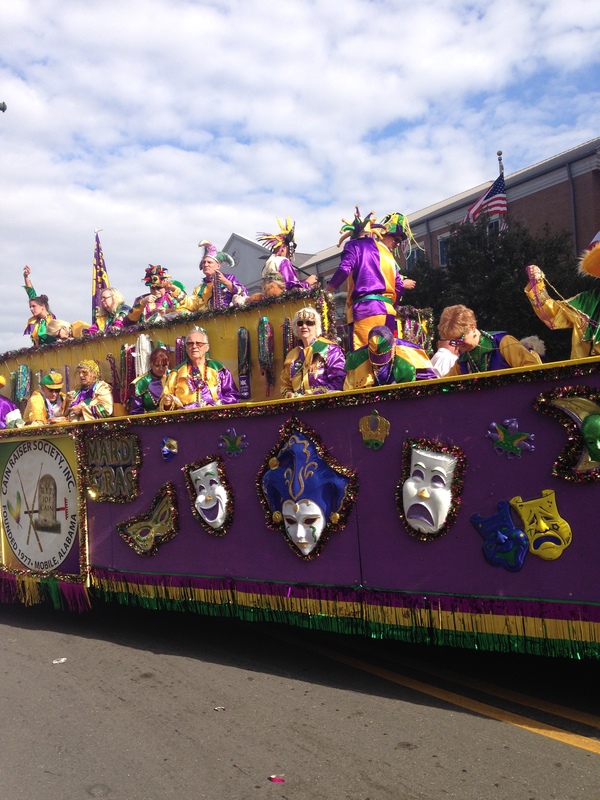 Did you know that Mardi Gras was actually created in Mobile, Alabama? Growing up I had always thought that it originated in New Orleans but it actually was in Mobile, the first capital of French Louisiana a full fifteen years before New Orleans. 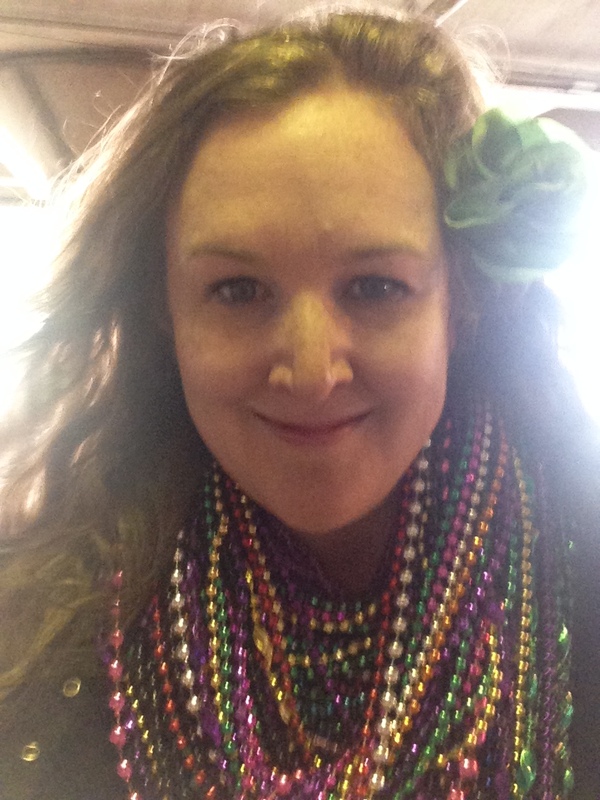 I accidentally arrived in the Mobile area Mardi Gras weekend and was able to go to a parade in downtown. There were plenty of floats and while I was somewhat disinterested in the beads once the floats started parading by I was all arms and hands trying to grab whatever I could flying off the floats. It was like I was a desperate bridesmaid at a Bride’s bouquet toss, all elbows! 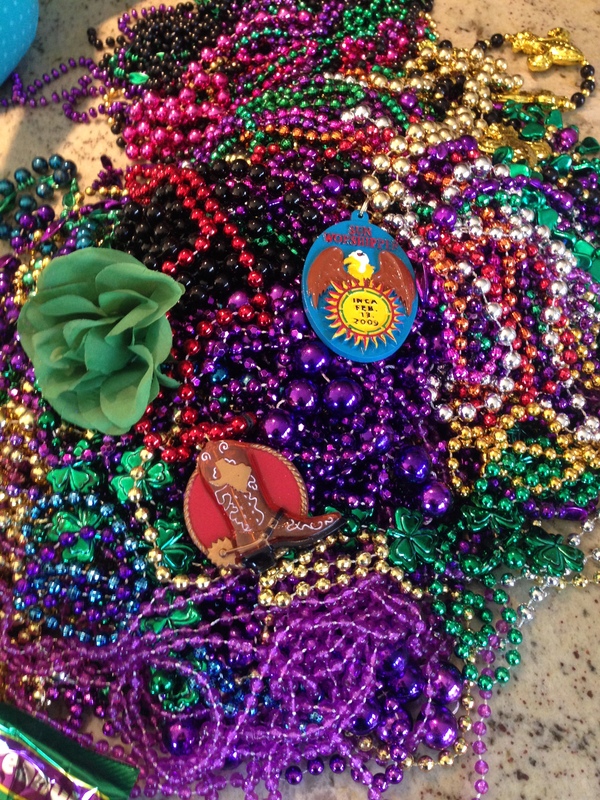 I walked away with a very large bag of “loot” none of which I have any need for, perhaps I will throw a Mardi Gras party next year back in Seattle…. 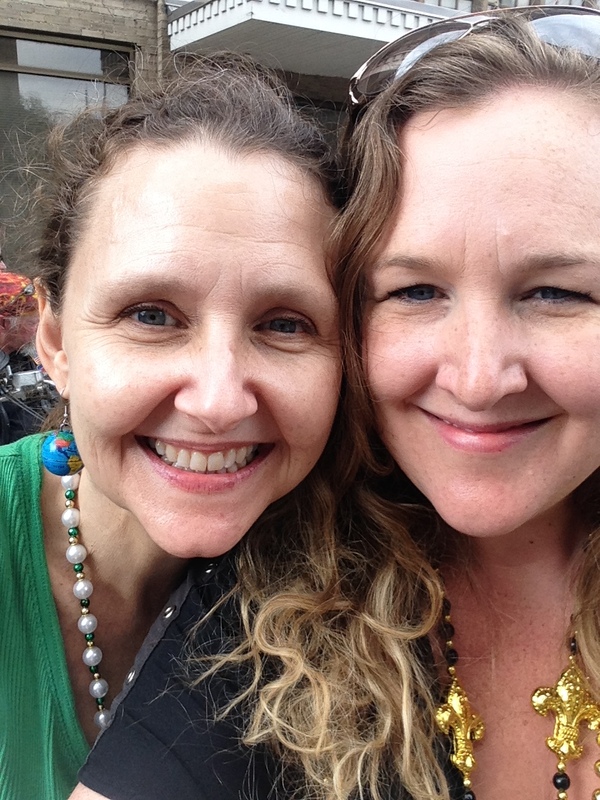 Me and my cousin Jodie waiting for the beads to fly! What to do with these??? ?